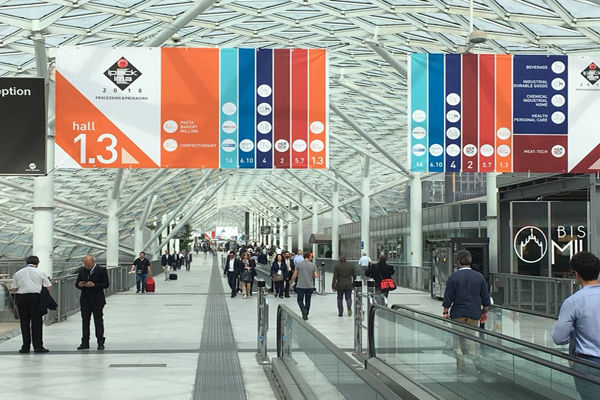 The organisers of Italian industry equipment and technology event Ipack-IMA have confirmed the trade fair will return to Milan between 4-7 May 2021. Significantly, the showcase, which includes the confectionery and bakery markets, will be co-hosted alongside several other cross-sector events including Plast, Meat-tech, Print4all and Intralogistica Italia. These five exhibitions across 17 pavilions will be staged at Fiera Milano district, covering a broad spectrum of the industrial supply chain. “The Innovation Alliance formula has proved to be a winning approach, which could be an inspiration for other events. Combining five leading industrial events increases the international attractiveness and promotes competitiveness in the global market.” – says Fabrizio Curci, CEO of Fiera Milano – “Moreover, Fiera Milano, with its exhibition spaces and services, together with Milan, today perceived as a dynamic European metropolis, make the event unique”. The event will bring together the best machinery for the manufacturing industry, as well as applications ranging from the engineering of rubber and plastic to food processing technologies, from food and non-food packaging to custom graphic printing, right down to product handling and warehousing. These machines manage different phases of the industrial production process, sharing a high level of innovation and large investments in research and development, especially considering of the great changes that are involving each segment.